Expert-reviewed information summary about the unique issues that arise for children during their treatment for cancer, after the completion of treatment, and as adult survivors of cancer. Equally important is the recognition that treatment of childhood cancer inevitably occurs in the context of a family. Frequently, the impact of an adult’s cancer treatment focuses on one or two key adults in the cancer patient’s life. In childhood cancer, the effects are often felt by more individuals, including one or both parents, one or more siblings who are themselves children or adolescents, grandparents, aunts and uncles, teachers, friends, and other individuals who may be directly involved in the care or life experience of the child. Furthermore, because children are not considered legally competent exclusively on the basis of age, most decisions about cancer treatment are made by proxy. Instead of children making decisions about their own care, their parents or guardians make these decisions for them. The large number of people involved, legal issues related to decision making about minors by others, and ethical concerns about informed consent and assent involving children add extra layers to the complexity of treatment for children. Treatment of childhood cancer is a highly stressful experience, challenging and disruptive to children and their family members. It is therefore assumed that children undergoing cancer treatment are at significantly higher risk for depression, anxiety, and other indicators of psychological distress. However, the empirical evidence to support this assumption is weak. Overall, studies suggest that children treated for cancer and children who are long-term survivors of cancer experience few significant psychological adjustment problems. There is evidence that children experience distress during the cancer treatment process. Distress appears to be most significant early in therapy, typically when frequent hospitalizations are necessary, with a pattern of less distress occurring over time. One group of 39 families of children newly diagnosed with leukemia was compared with a group of 49 families of healthy children. While parents and the children treated for cancer reported higher levels of distress immediately following diagnosis, these levels of distress decreased over 4 years of follow-up, and there were no significant differences in psychological distress compared with the healthy comparison cohort. Similar findings have been reported across cultures. One group of investigators found that teachers perceived children with cancer as more social and less aggressive, and peers rated them as less aggressive and having greater social acceptance than other peers. It may make a difference who is reporting: parents of children report more limitations in their children than the children themselves report, although children do report lower satisfaction with athletic competence than do their peers. None of these clinical trials have included or focused on children and adolescents being treated for cancer. Risk/benefit concerns have reached the level of international regulatory concern. The Medicines and Healthcare Products Regulatory Agency of Great Britain has recommended that most of the drugs in the SSRI category not be used with children and adolescents, and the FDA raised similar concerns in a Talk Paper and subsequently issued a “black box” warning. A major meta-analysis published in the Journal of the American Medical Association reanalyzed the data from the child and adolescent studies [Level of evidence: I] (including seven studies not included in the initial meta-analysis [Level of evidence: I]) using a random-effects model. While this reanalysis found an overall increased risk of suicidal ideation/suicide attempt consistent with the initial meta-analysis, the pooled risk differences were found to be smaller and statistically insignificant. Furthermore, another study examining the U.S. and Dutch data suggests a drop in SSRI prescriptions for children and adolescents and a simultaneous increase in suicide rates in this patient population since the FDA Health Advisory was issued. Barrera M, Wayland LA, D’Agostino NM, et al. : Developmental differences in psychological adjustment and health-related quality of life in pediatric cancer patients. Child Health Care 32 (3): 215-32, 2003. A commonly repeated idea in the cancer community is that cancer is a family disease; this concept is clearly supported by parents and siblings of children who are being treated for cancer. However, the effects of having a child or sibling with cancer are not uniform, either for all family members or at all points in the treatment process, and the literature reflects the variability of each family member’s experience. 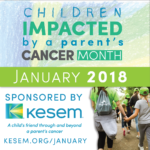 The diagnosis of childhood cancer represents the start of a period of substantial distress for parents, who report shock, emotional pain, difficulty coping with the necessary procedures performed on their child, rumination, and high levels of information seeking accompanied by a sense of lack of control. One study found that all but one participant in a sample of 119 mothers and 52 fathers of children undergoing cancer treatment reported traumatic stress symptoms such as intrusive thoughts, physiologic arousal, and avoidance. When parents of children undergoing treatment (n = 175) were compared with parents of children who had completed treatment (n = 238), symptoms of traumatic stress (intrusion, arousal) were reported more frequently by the parents during the acute phase of treatment than by the parents after treatment, though some parents reported these symptoms after treatment. Some demographic factors may play a role in the degree to which parents experienced significant stress that impairs function. Mothers were more likely to report higher levels of stress than were fathers, and parents with fewer years of formal education and lower socioeconomic status were more likely to experience traumatic stress at any time. View their children’s quality of life positively. Negative assessment of the child’s quality of life. Race and parent gender may affect the intensity of the effect of these factors on parental functioning. In rare circumstances, the stress of coping with pain, adverse side effects, lack of control or understanding of information or outcomes, and conflicts with health care professionals may lead parents to drop out of cancer treatment for their children. Most studies suggest that over time, maternal affective distress and perceived stress have been shown to decline, but the perceived burden of caring for a child with cancer remains stable, as do positive characteristics such as parental control, nurturance, and responsiveness. This pattern may be related to the high levels of social support provided at the time of diagnosis, with a gradual decrease in the quantity of support but stable perceived quality of support across all phases of cancer treatment. In general, parents are seen as resilient,[Level of evidence: II] but parental loneliness and continued uncertainty may last far beyond the treatment phase if there are ongoing late effects of treatment for the child. [Level of evidence: II] A few studies have found that a substantial number of parents (30%–36%) of long-term cancer survivors may experience intense long-term stress-related symptoms that fall below the threshold for a diagnosis of post-traumatic stress disorder (PTSD) but that are nevertheless a significant problem for these parents. [Level of evidence: II] Symptoms were severe enough that in 20% of families, at least one parent met the criteria for a diagnosis of PTSD. Fear of the sibling’s death. For siblings of children who undergo allogeneic hematopoietic stem cell transplantation, the risk for anxiety and lower self-esteem is higher for siblings who serve as hematopoietic stem cell donors, while non-donors are at higher risk of developing school problems. Social support programs such as sibling groups or summer camp experiences appear to result in reductions in reported anxiety and improved self-esteem in siblings of children treated for cancer. Planning for a child’s death is often a very uncomfortable topic for parents, other family members, and members of the health care team. Children are not supposed to die. Although there has been a significant emphasis on better understanding the decision-making process and the care provided for children at the end of life, many parents choose to continue active cancer treatment until death. Prepared parents for the circumstances around the child’s impending death. Referrals to hospice care are often limited by hospice policies that do not accept patients still receiving active chemotherapy. Twelve hundred pediatric oncologists in the Children’s Oncology Group were surveyed about hospice referral practices (67% response rate). Hospice referrals were limited by lack of access to inpatient hospice programs. However, pediatric oncologists indicated that if the hospice program accepted children still receiving chemotherapy, referrals were more likely and the children were also more likely to die at home than in hospitals. Despite broad popular interest in complementary and alternative therapies, few children are offered access to this treatment. A study of Children’s Oncology Group institutions in Canada found that complementary and alternative therapies were offered at only 18% of treating institutions, although these were available in 94% of communities. Direct referrals were only provided to 6% of families, and only 20% of institutions had developed any guidelines for the use of complementary and alternative therapies. To address this issue, studies are in progress to examine the integration of complementary and alternative therapies with conventional treatment in the Children’s Oncology Group. Despite the relative absence of structured palliative care and end-of-life care for children treated for cancer, personal discussions about palliation and end-of-life care between oncologists and parents nevertheless take place. A study of 140 parents whose children died of cancer found that if the primary oncologist discussed options and if home health support were available, 88% of parents planned how they wanted their child’s end-of-life care to be provided, and 97% accomplished their plan. This was associated with more home deaths (72% vs. 8% who did not plan); fewer hospital admissions (54% vs. 98%); parents feeling more prepared (37% vs. 12%) and comfortable with the process (84% vs. 40%); and, for those who died in the hospital, fewer deaths in the intensive care unit (92% vs. 33%) and with intubation (21% vs. 48%). Communication (verbal and nonverbal) with children and families should be caring, sensitive to individual and family concerns, and provided within the context of a child’s age and developmental level. Parents should be engaged in early discussion about advance care planning. It has been suggested that this discussion begin at the time of diagnosis for all children who have a survival prognosis lower than 50%, although others prefer to delay this discussion until the time of relapse or disease progression. Advanced care planning includes discussion about the use of standard or experimental treatments, preferred location for the child’s death, whether to involve hospice, funeral arrangements, and whether a Do Not Resuscitate (DNR) order is to be implemented in inpatient and outpatient settings. Depending on their developmental and cognitive capacities, some children who are dying benefit from being included in these advance care decisions.